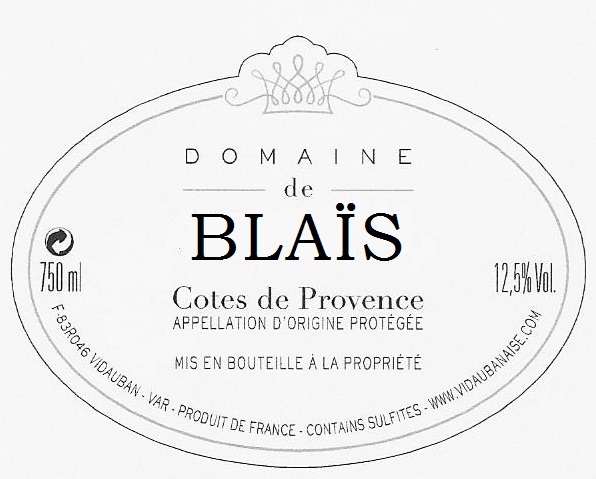 The Domaine des Blaîs is an ancient estate in the Var, once a Roman villa, and possesses an extra dimension of character and complexity due to this provenance. The vineyards are located on the limestone foothills of the historic Maures massif in the southern Var, between the Mediterranean Sea and the Alps. The terroir benefits from the Mediterranean climate so beneficial for traditional southern varietals such as Grenache, Syrah, Mourvèdre, Cinsault, Carignan and Rolle. One wine is produced here,bottled in an elegant flute bottle that is a striking, modern expression of the traditional Provençal flute à corset.